The Wellness Awards return honoring those in our community moving health and wellness forward. 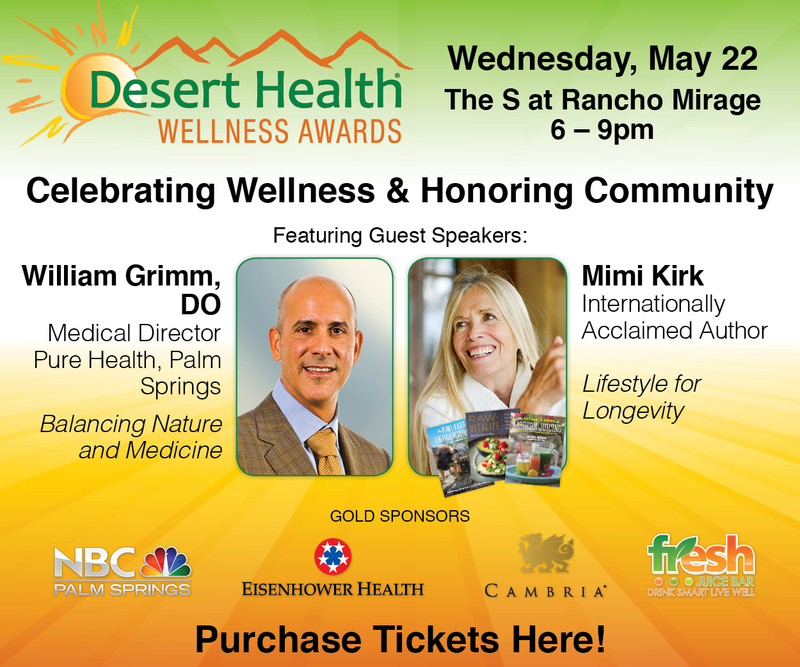 The evening includes a reception, dinner, the awards presentation and TWO guest speakers: celebrity speaker author Mimi Kirk discussing longevity through food choices, and local integrative doctor William J. Grimm, DO. To be held at The S Rancho Mirage 6pm-9pm. 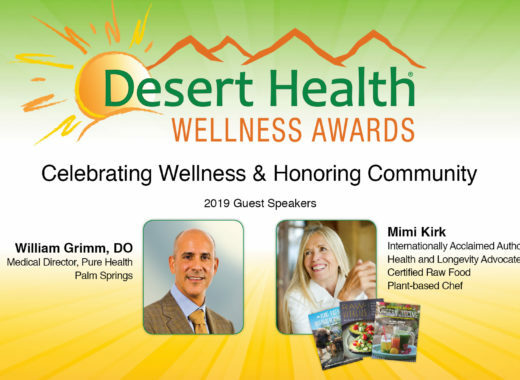 Your $95 ticket includes reception, beverages, dinner, guest speakers, award presentation, a Desert Health tote filled with wellness offerings, and an open farmer’s market compliments of Prime Time Produce. Visit www.deserthealthnews.com or call (760) 238.0245.